I have never been a person who could be characterized as all sweet and mushy. Well, I guess it depends on one’s definition of sweet and mushy. Am I emotionally sweet and mushy? Not really. Am I physically sweet and mushy? Not sure about sweet but mushy, totally. 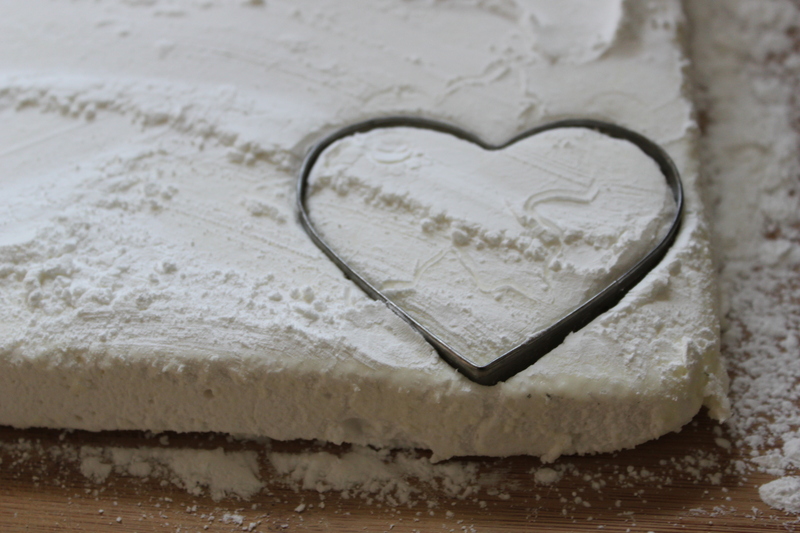 So for Valentine’s Day this year I will get as close to sweet and mushy as I can, I will share with you a recipe for sweet and mushy marshmallows. 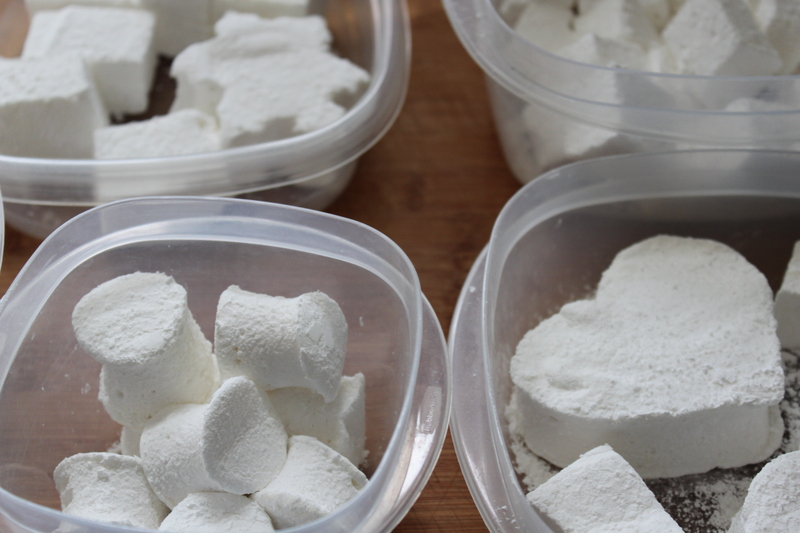 Aside from being inexpensive, marshmallows are super easy to make. What is not so wonderful is that you really need a stand mixer to make them. So my apologies to the many of you who do not have a stand mixer. It was years before I had one and oh, the difference it makes. 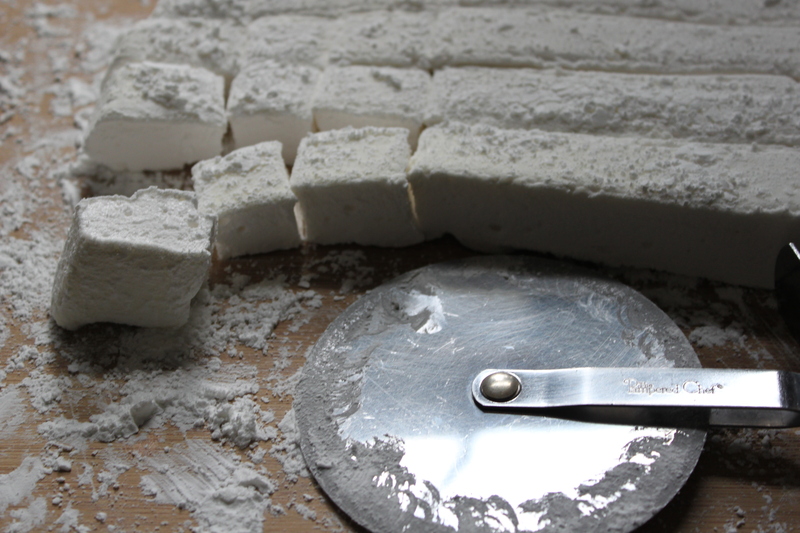 The marshmallow recipe I use is from Food Network’s Alton Brown and can be found here. There is also a video that I find useful. I have one caveat I would like to add to the instructions. It took a good deal longer than eight minutes for my sugar mixture to get to 240 degrees. When it comes to time vs. temperature, always wait for the proper temperature. This is chemistry after all people – mushy, gooey, sweet lumps of chemistry. For regular uniform size marshmallows, just cut with a pizza cutter (or serrated knife) dusted with cornstarch/powdered sugar. Personalize your marshmallows using cookie cutters, like hearts or snowflakes. 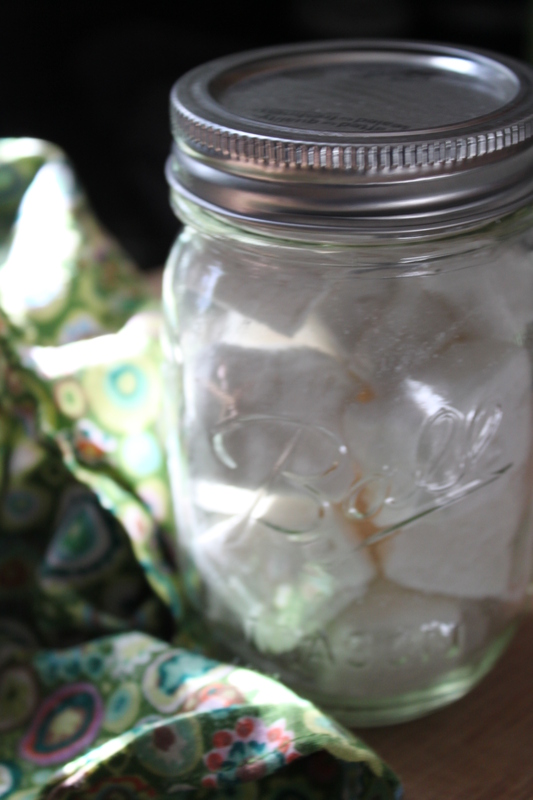 And as always, when giving marshmallows to someone, glass jars are a lovely way to package. Do you know that marshmallows are B’s favorite thing on earth? Totally making these for him. Love it!! !